​t-shirts, tank tops, flasks, buttons and stickers! 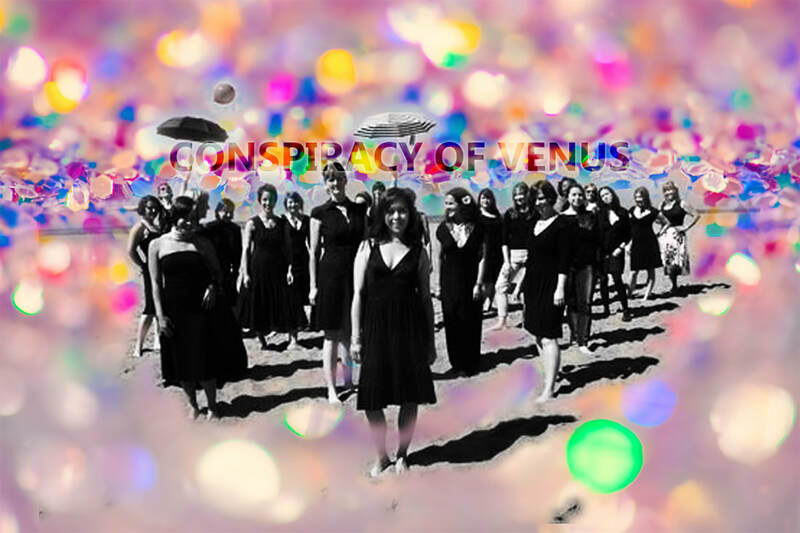 Conspiracy of Venus is a 30-woman vocal ensemble based in San Francisco, CA that explores the creative frontiers of music under the artistic direction of Joyce Todd McBride. We interpret Joyce’s daring and inventive arrangements of beloved songs, ranging from popular classics (Joni Mitchell’s Big Yellow Taxi and David Bowie’s Life On Mars) to edgy contemporary pieces (Bjork’s Possibly Maybe), as well as original compositions by Joyce (including a poem by Bertolt Brecht set to music) with dazzling technical verve and tons of personality. Drawing inspiration from medieval music, jazz, funk, and new music, Conspiracy of Venus takes vocal music into territories not often explored by more traditional choirs or college-style a cappella groups (though we are inspired by them too! ).